Daisies learn just how much they can care for animals and for themselves—and just how good that makes them feel. 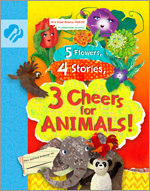 5 Flowers, 4 Stories, 3 Cheers for Animals! 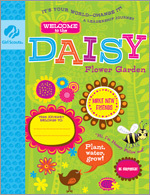 will also introduce Daisies to the stories of the flower friends: Daisy, Sunny, Tula, Gloria, Gerri, Rosie, Vi, Clover, Mari, Lupe and Zinni. 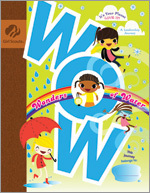 Each flower friend corresponds to a value in the Girl Scout Law.